We’ve all been there. 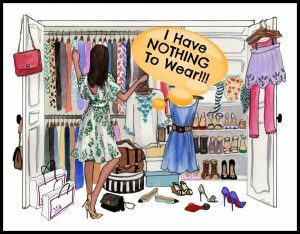 You stand in your closet and feel like there’s nothing to wear, or you just feel uninspired by what your wardrobe currently offers. But we often undervalue what we have because we are looking at it with the wrong eyes. 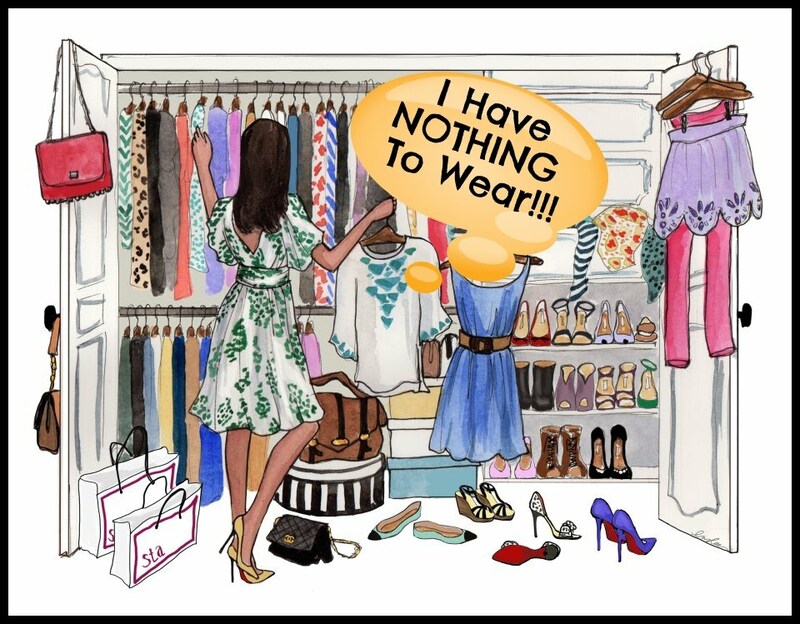 The very same concept applies to your closet. It’s a treasure trove full of possibilities. 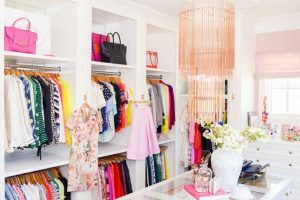 It only requires that you start with a new perspective and organizational style with these 3 easy and convenient tips that don’t require you to do a complete wardrobe overhaul or throw out all the clothes in your closet. All it requires is a little wardrobe refresh. How many times do we hang on to that skirt that we promise we will wear but never actually get around to because it was cute in the store but wasn’t quite as practical when you got it home? Or those favorite pair of skinny jeans that if we lose those extra 5 pounds we can slide into? Keep a mental note and then make a physical checklist of items you’ve actually worn within the last 3-4 months. Then, assess what pieces you can transition from season to season and if some of those items don’t make the cut you can either sell them or donate them but don’t hold onto dead weight girl. Additionally, start actually wearing the clothes that still have tags hanging on them. 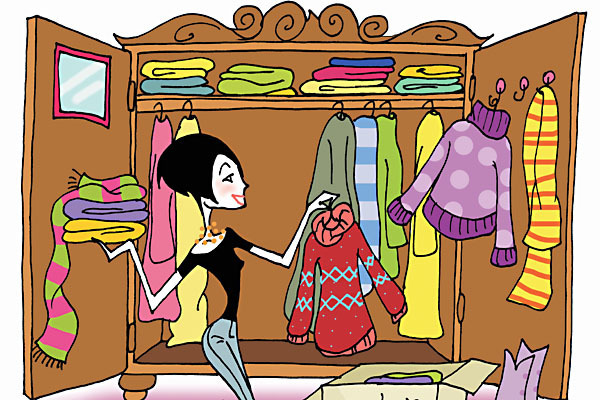 Remember, you’re looking get a wardrobe refresh and work with the great pieces you already have. 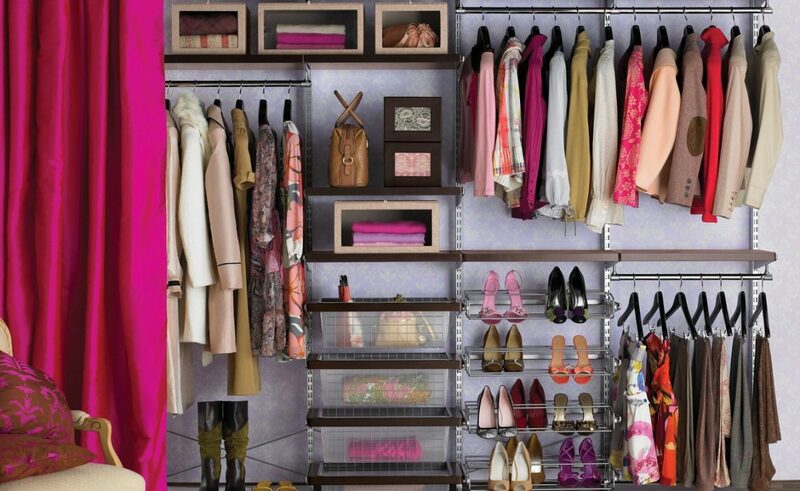 Once you’ve seen what is actually in your closet, organize it so you can make the most use out of your favorite pieces. Whether it’s by hanger color, event type (work, special occasion, date night, girl’s night, etc.) color, type of piece (shirt, dressy blouses, sweaters, skirts, pants, dresses, suits) give it some type of system that makes sense to you, so that each time you step into your closet it’s purposeful, and you can put together an outfit that makes you feel confident and helps you conquer your day and be the best version of yourself. If there are pieces that you love in your closet, mix and match them with some pieces that you need to pull out that don’t quite get as much love. 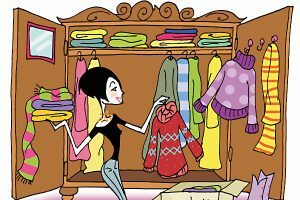 Trust me, you can have revolving outfits based on a few foundational elements that will successfully get you through the month. Experiment with different pops of color, prints, styles, and create a look that’s all your own. Play with accessories as appropriate for the event type or day. Try on a few looks, take pictures, have fun with it. This may also help you figure out new looks you want to create based on previous looks with similar pieces in your current wardrobe. Get in touch with your inner fashionista. Realize this is about you being your most comfortable and confident self, saving a few coins #chaching, and embracing the inner Goddess inside of you. At the end of the day, the woman makes the clothes, and you are a boss woman. Go out there and make moves!